Ole Man River Half Marathon. The race that almost wasn't ran. I'll be completely honest. 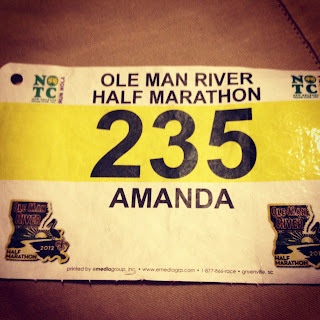 This was the first race that I had to coach myself out of bed to run. I was TIRED! The past week has been crazy and to add running 13.1 miles was not the ideal way to end my week. But never the less, in the end, it was so worth it. I went to this one solo. My cheering squad (my hubby and our housemate Damond) were sound asleep. And I was jealous. But I had paid money to participate and I was not going to let it go to waste. To be completely honest, I just wanted my finisher medal. I arrived at the race at 7:45 am and since the race started at 8:00 am, I didn't have much time to stretch. 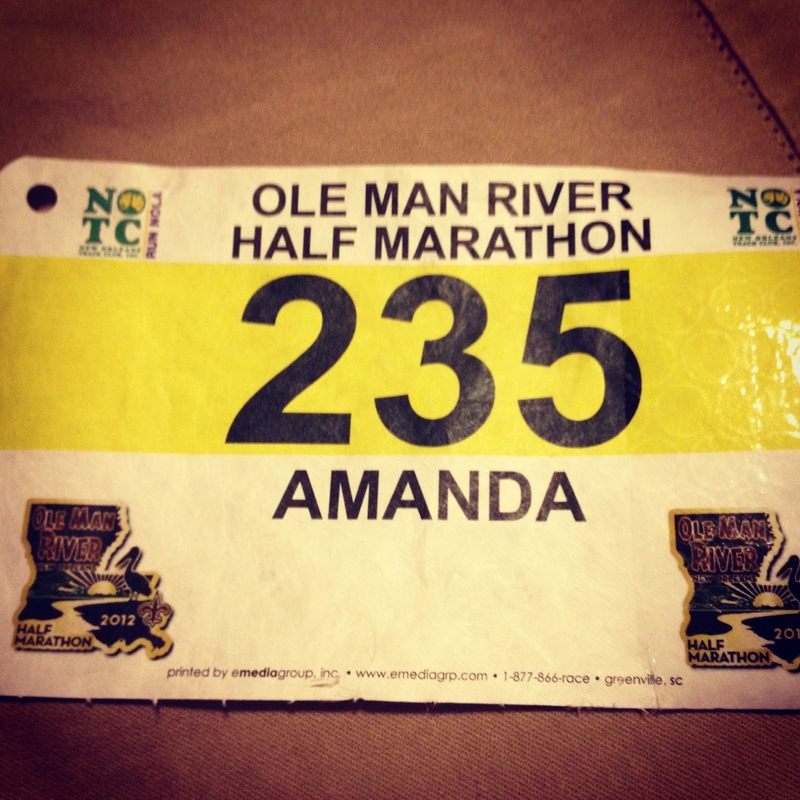 But I got a little stretching done and literally "ran" to the starting line. At 8:00, we were off and surprisingly, the first mile was good. Normally, it takes about 3 miles for me to be warmed up, so I thought I was off to a good start. Mile 2 came and I ran into one of my running buddies, Vicky. 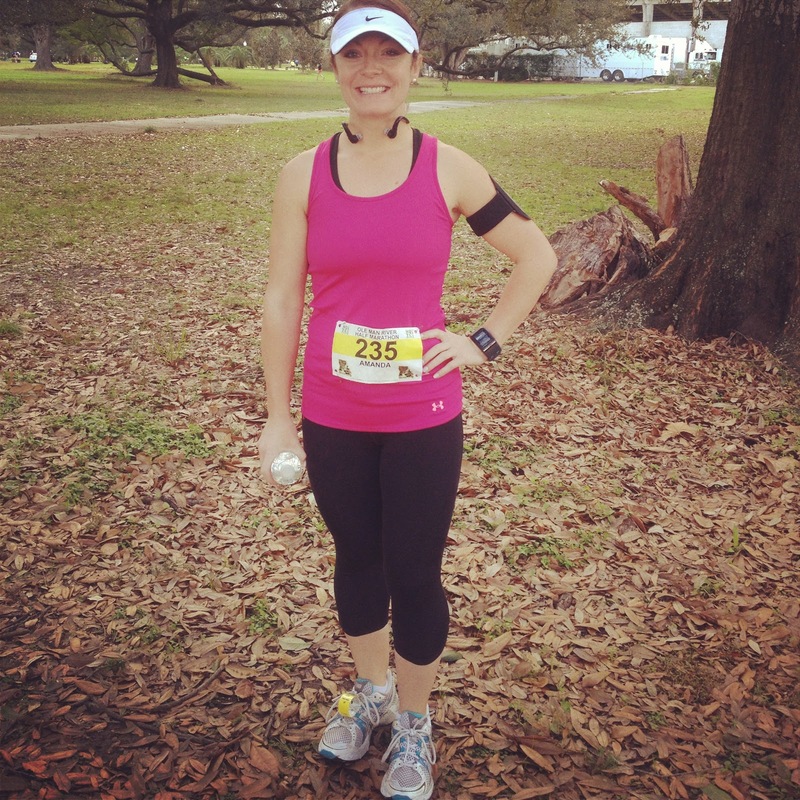 Just a side note, Vicky is training for the Goofy Challenge at Walt Disney World in January. The Goofy Challenge is a half marathon on Saturday and a full marathon on Sunday. So you end up running 39.3 in a weekend. She's my hero. Anyway, at mile 2 and I passed the water (I had my water with me) and port o potty. Mile 3 came along and I began to feel yucky. That's not normal for me. I knew that something wasn't right. I actually contemplated turning around, as I was worried that if I got too far into the race and began to have problems, I would be a duck out of luck. But I kept on. Mile 4 came and something was definitely wrong. I felt like I was going to puke. (sorry for the visual) I actually had to stop and give myself a minute. Drank some Gatorade, which if you know me, I NEVER drink Gatorade. Gatorade is trashed with horrible ingredients. But I needed electrolytes. After about 5 minutes, my body began to chill out and I continued on. Mile 5-9 was alot better. I found my stride and though the route was relatively boring, I was able to look out on to the lake and just enjoy my surroundings. At Mile 10, I was on the home stretch. I always think of it as I'm starting a 5k, which is 3.1 miles. I know what my 5k time so it helps me up my time and pace without over exerting my little bit of energy that I have left. Then it started. My left calf decides that it is going to start to crap. Not good Larry! I was not happy about this and I began to try to convince myself to forget about it, but as you may know, that did not help. Then my neck began to crap. Like the, slept on your pillow wrong cramp. What the heck! I was ready to make up for my time of stopping at Mile 4, not to slow down. But I listened to my body and slowed up. I refused to walk, but I at least gave my self some recovery jogging. Finally, I rounded the curve into Mile 12 and I could hear the after party going on. I was ready for this race to be over. I trucked it. 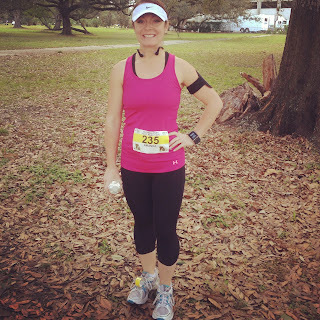 I didn't care about the pain or my PR from the last half. I was just ready to cross the finish line and get my medal. Needless to say, I finished. I shaved 2 minutes off my PR. Not great, but considering the situation in the beginning, I'll take it. Here are a few pictures from the race. 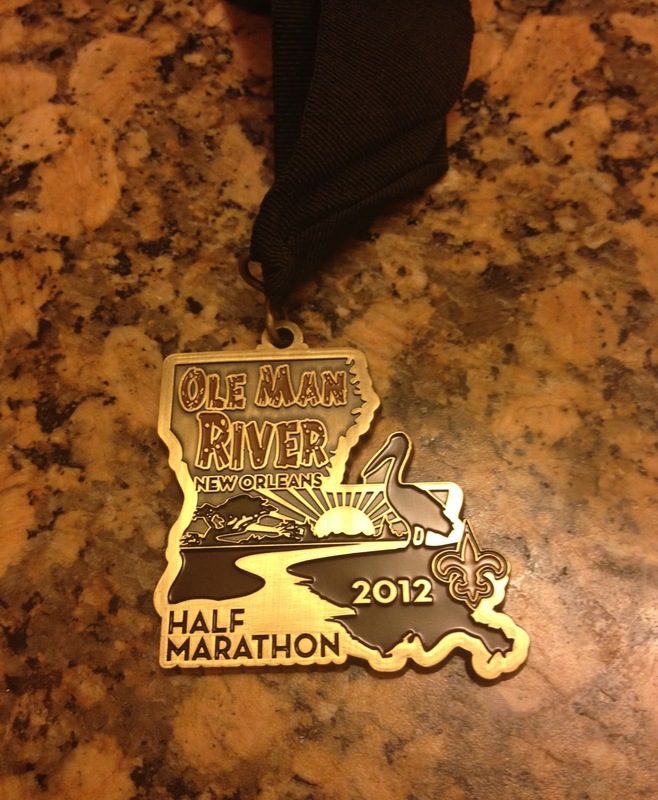 Isn't this such a cool finisher medal?